Screen time is something that quite a few people debate about many are for it many against it. I personally have no problem with it. Schools tend use the internet these days for educational purposes. I feel that at home its a good way to implement it ready for when they start Pre-school/School. Of course its important to teach children internet safety from day one. When it comes to TV sometimes you need Cbeebies as a baby sitter. Take yesterday morning Blake decided to wake me up at 5:30 am so that was him up for the day. This meant that as soon as 6 am arrived the TV was on so I could lie on the sofa and have a quick power nap and he was entertained whilst eating a bowl of cheerio's. TV is also handy when you need to get some work done around the home. Lets be honest here its hard to get the tidy or cleaning done when you have a toddler making even more mess. One of things I make sure though is that he isn't watching TV all day as that isn't healthy. He is allowed to watch TV either in the morning or afternoon and allowed to watch the night time hour on Cbeebies in the evening since he loves In the night Garden and means dinner can be cooked in the mean time. Blake very rarely uses my tablet and even then its not for the internet and mainly for games. Some which are educational and some such as the In the night garden and Lego Duplo Trains app that aren't but Blake loves. It can be handy to have these apps especially if you know you are going to eat out as they can be a distraction until their meal comes out. We are actually planning to purchase a leap pad for Blake later this year so that he can have his own device for playing educational games although we will be limiting his use of it. How do you feel when it comes to screen time? Are you strictly against it? 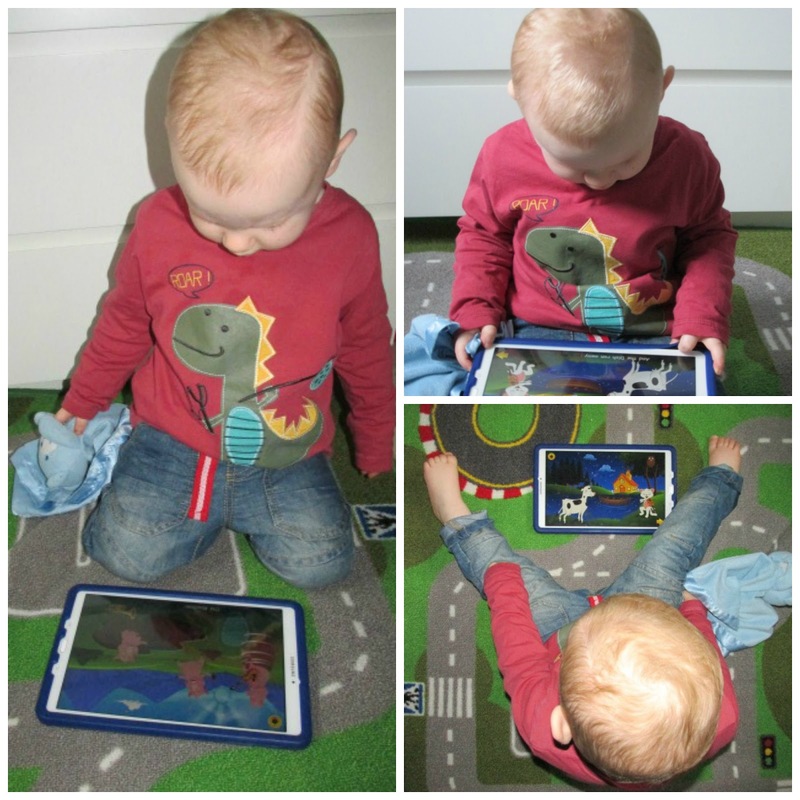 Tablets can be great for little ones depending on their age. You can find some great educational apps that are also fun. I let mine use them! I am not against screen time but I do try to control how long my kids are on it. I think being against completely will do more harm than good. The screens are here to stay. Technology isn't going to go away so as parents we are responsible for teaching children how to use it confidently and appropriately which includes limiting screen use. Like many other parents, we have resorted to giving our toddler a phone when we were desperate. Like at restaurants occasionally or in a terrible tantrum in public. However, at home it's a different story. She only gets screen time from the TV, once a day for about an hour. I had to really work hard to ensure it doesn't exceed this, but it has not been easy. Will keep working hard at it, I don't want her to get into a toxic habit of demanding a phone. But it is part of everyday life now, and we can't deprive her of it completely.